My blog tour for my latest release, Deadly Intent, starts today! 7/3 I’m on the Steeple Hill blog in an interview with advice for writers, especially those targeting Steeple Hill. 7/5 My hero from Deadly Intent, Dr. Devon Knightley, is being interviewed at the CRAFTIE Ladies of Suspense blog. 7/5 Heartsong Presents author Lena Nelson Dooley asks me what the happiest day of my life was. 7/6 My heroine from Deadly Intent, Naomi Grant, is being interviewed by award-winning Steeple Hill author Margaret Daley. 7/7 On the So Many Books, So Little Time blog, check out the link to see the view from the actual winery where my favorite scene in Deadly Intent takes place. 7/7 I’m at Lynn Mosher’s blog, talking about satisfying romantic suspense novels. 7/8 My gorgeous friend, Mrs. Montana International, Angie Breidenbach reviews Deadly Intent. 7/9 Find out about my fictional “family” on Janna Ryan’s blog. 7/10 I’m on Angie Breidenbach’s blog writing about the healing and value of spas for people from all walks of life. 7/13 On Dineen Miller’s blog, I spill the beans about the architecture that inspired the Joy Luck Life spa. 7/14 My "theme song" for Deadly Intent was "Mighty to Save" by Hillsong, and I blogged about the story behind how I picked that song for the book. Check out the Youtube videos and lyrics, also. 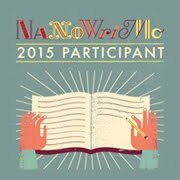 7/15 I’m on Deena Peterson’s blog (Happy Birthday, Deena!) in an interview, and I came up with a spontaneous contest in response to one of her questions. Contest still going on! I'll update here if someone finally wins! 7/15 On Tara’s blog, I share the recipe for a dish from Deadly Intent, Chinese chicken salad. It’s super easy! 7/16 My Aussie friend Rel does a character spotlight on Naomi, with pics of both who I pictured Naomi and Devon to look like. 7/16 I’m guest blogging at Deena Peterson’s blog about some of my favorite Love Inspired Suspense authors. 7/17 Deena Peterson reviews Deadly Intent. 7/17 My fellow Love Inspired Suspense author Liz Johnson asks me what song I’d sing for karaoke. 7/17 My good friend Georgiana Daniels reviews Deadly Intent. 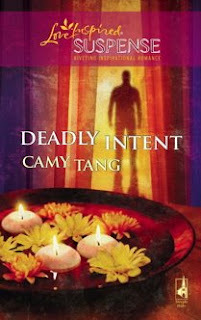 7/20-7/21 I’m discussing Asian food—and the Asian food in Deadly Intent—on the blog of Christy Award-finalist Tosca Lee. Part one and part two. 7/20 Love Inspired and Avon Inspire author Lyn Cote is featuring Deadly Intent on her blog. 7/21 Check out Tina’s blog for the answer to who Devon’s character is loosely based on. 7/21 Thriller author Creston Mapes features my book on his blog. 7/22 On historical romance author M.L. Tyndall’s blog, I’m blogging about how my publication journey has impacted my faith in God. 7/22 Lyn Cote is posting a recipe of one of my favorite foods from Deadly Intent, and the story behind it. 7/22 Heidi Endicott reviews Deadly Intent on the Publishers Weekly blog. 7/23 I’m on the F.A.I.T.H. blog where I answer how my spa got the name Joy Luck Life. 7/24 I’m on the blog of romantic suspense author Robin Caroll with some background info on the character of Aunt Becca, with the original (rather chick-litty) opening to Deadly Intent, and the scoop behind the real ZOE International organization! 7/24 An excerpt of Deadly Intent is running this week on the Chapter-a-Week loop. 7/25 I’m at Prairie Chicks Write Romance talking about how I get by with a little help from my friends. 7/27 Anne Dayton and May Vanderbilt ask me what my biggest fear is. 7/28 Deadly Intent is reviewed on The Suspense Zone. 7/28 My friend MJ reviews my book on her blog, Creative Madness That Makes Me Myself. 7/28 Writers, read about the Basic Building Blocks of Good Story Structure at the blog of contemporary romance author Cheryl Wyatt. 7/30 I'm on the blog of my friend and fellow Love Inspired Suspense author Janet Dean with a guest blog post about my heroine, Naomi, and her family pressures--which I hope/think a lot of you will relate to! 7/30 Patricia reviews Deadly Intent--I like her take on my "voice." 7/31 Laura Domino reviews Deadly Intent. 8/1 I’m guest blogging about the top ten things that inspired me to write Deadly Intent on Heidi Strawser’s blog, and she also reviews Deadly Intent. 8/3 My friend and Love Inspired romance author Missy Tippens asks me, "Is it easier to write suspense because of the built-in conflict of a villain?" 8/4 Deborah reviews Deadly Intent. 8/5 Alison Strobel Morrow interviews me about the genre switch, my next book coming out, and what I'm reading right now. 8/8 My lovely Genesis coordinator Erica Vetsch asks me to blog about the differences in writing category suspense and trade contemporary romance. 8/10 I spill ALL about visiting my friend Audra Harders and milking her goat! No joke! 8/11 Amy reviews Deadly Intent. Stay tuned for an interview with her in a few weeks! 8/12 My friend and Love Inspired romance author Betsy St. Amant reviews Deadly Intent. 8/13 Women’s fiction author Trish Perry asks what inanimate object best represents me. Can you guess? 8/14 Gina Welborn reviews Deadly Intent. 8/14 I’m on the blog of my friend Ronie Kendig, talking about my writing journey between suspense and chick lit and contemporary romance--with a bonus blurb from one of my old manuscripts! 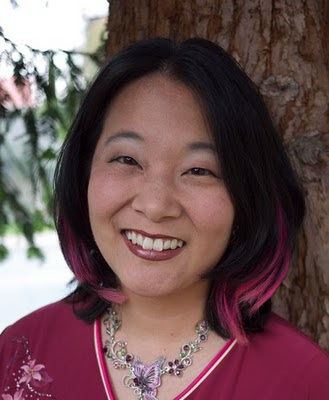 8/15 Fellow Love Inspired Suspense author Cara Putman asks me about any embarrassing research books I had to check out of the library, and she also reviews Deadly Intent. 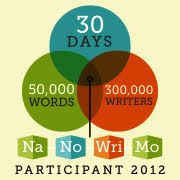 8/15 I blog about ideas for new novels on Myra Johnson’s blog. Wow! Busy and exciting. Good Luck! No prob, Christina! I'm so excited about it coming out!